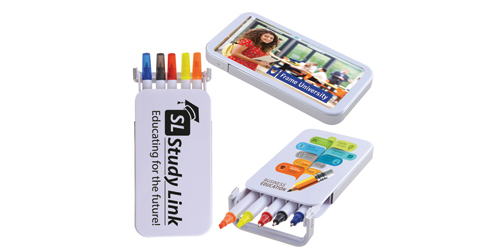 White case with set of two highlight markers (Orange, Yellow) and three half size ballpoint pens (Black, Red, Blue). Converts to a desk stand. Pen and highlighter barrels are white.